Can I just begin this post with some important things you should know about me before we begin? The first five years of my marriage I did not have an entrepreneurial bone in my body. In fact, I just had “real” jobs while I attended college. But when my oldest turned five I decided I didn’t want to leave my little girl and just wanted to be with her full time. My wonderful husband agreed. And then the babies came---one after another. What a joy to experience all of God’s blessings! And as our family grew so did our expenses! We were now a large family and the budget was growing tight. So I prayed to the Lord and asked Him for help. Dear God, if there is a way that I can help my husband now that I have some older ones to help me out a bit and could you please show me how? I knew I didn’t want to spend a lot of time working and getting a low return/profit on my time. Never in a million years did I ever expect the Lord to answer us the way that He did. He used what I was doing already and loved and turned it into a full time income opportunity for our family. I can’t get over His goodness to us. I am very humbled by what He has done and oh so grateful. I had been running my blog for a while, several years in fact. When I had prayed I also thought of how I loved blogging and wondered if there was some way I could use that to generate income. Sure enough, God answered that prayer with a yes! I was able to earn income through blogging (I own two blogs), writing books, becoming a consultant for LillaRose (selling beautiful and lovely hair clips), and launching my own blog consultation services to women to teach them how to earn money doing what they love (our consulting service has been up for several years now and we have consulted with women all over the world!). And working at home has even allowed me to work with brands all across the country and support some really neat humanitarian projects as well! I am so grateful that God has provided this extra means of earning for me. I had been able to stay at home with the children and watch them grow and not miss any milestones. I know that many aren’t able to do that, and that is why I don’t take it for granted for one minute. There is nothing else I would rather be doing than being able to spend time with my children in the comfort of my own home. And while I do make a full time income online, I am reminded that while we are able to earn an income that it is not my main goal at all. Did you ever hear the story about the fisherman and the rich business man? A vacationing American businessman standing on the pier of a fishing village in Mexico watched as a small boat with just one young fisherman pulled into the dock. Inside the small boat were several large fish. Enjoying the warmth of the early afternoon sun, the American complimented the fisherman on the quality of his fish. "Oh, a few hours," the fisherman replied. The fisherman warmly replied, "With this I have more than enough to meet my family's needs." Responding with a smile, the fisherman answered, "I sleep late, play with my children, watch ball games, and take a siesta in the afternoon . Sometimes in the evenings I take a stroll with my wife into the village and we take time to visit with our friends." Proud of his own sharp thinking, he excitedly elaborated a grand scheme which could bring even bigger profits, "Then, instead of selling your catch to a middleman you'll be able to sell your fish directly to the processor, or evenopen your own cannery. Eventually, you could control the product, processing and distribution. You could leave this tiny coastal village and move to Mexico City, or possibly even Los Angeles or New York City, where you could even further expand your enterprise." The Harvard MBA pronounced, "Probably about 15-20 years, maybe less if you work really hard." The businessman boasted, "Then you could happily retire with all the money you've made. You could move to a quaint coastal fishing village where you could sleep late, play with your grandchildren, watch ball games, and take a siesta in the afternoon then in the evenings you can stroll into the village and take time to visit with your friends all you want." As a mom I know many women who are pressured to be successful at their jobs, but we need to draw the line at contentment whenever we know that the sacrifice will be our families. As a blogger I know there many bloggers are tempted to earn five to six figures when that isn’t really necessary. We need to keep our priorities in line--family is more important than earning a buck. We can't let the world dictate how we should live or how much we should earn. Money does not equate happiness! 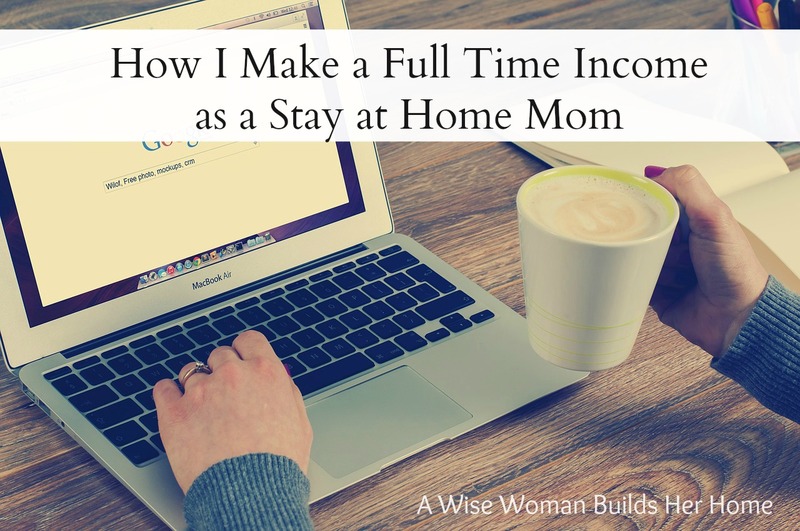 The road to working full time online is not an easy one might be lead you to believe. It requires a lot of hard work, discipline, time, and commitment. I often get emails from people asking me how it's done and if it is possible for them do make a full time income at home as well. For me, I believe, it has been a passion of mine to write and work online for a long time and so it has been quite sustainable for me. Since I enjoy it so much most of it does not seem like work -- but an enjoyable hobby instead that is interwoven with the capability of being able to minister and bless others at the same time. What a blessing to be able to do this! 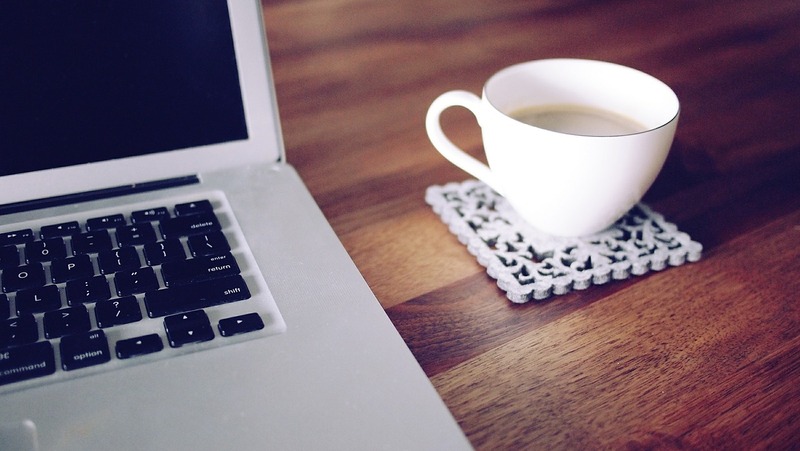 So now I want to hear from you--do you work from home? Feel free to share in the comments and tell us what you do! Are you encouraged here? Subscribe and never miss a post! True. I use a few online websites to sell little things that dont take much of my time (printing flyers etc) but they havent been bringing much in lately. I dont know if you have ever used any of these programs (I have them listed on my blog) but what generic tips do you have to make the most of your resources? I enjoyed reading your post, I can feel that you enjoy what you do. While I cannot comment on my work-from-home experiences --because I have none-- I just wanted to leave a few thoughts. I absolutely love to hear people express a desire to live with contentment, it's so encouraging. I am blessed and make an effort each day to be continent with what I have. You left out the punch line where the Mexican says that he already has that lifestyle now. I write books that are sold on Amazon.com. I don't make much, but I hope they help others. I am doing some "work" but it is more a family ministry than anything else. I became a Pampered Chef consultant which gives me some much needed time out and about a couple times a month and whatever I earn in commission gets donated (currently working on funding Bible translation for Nigeria through Community Bible Study International). I also have a small farm starting and am hoping that might bring in a little added income in the future as well. Also, we should note the verse Ephesians 4:28 that instructs us in one of the major reasons we work: 'Let him that stole (this could include time spent in indolence) steal no more, but rather let him labor, working with his hands the thing which is good, (why?) that he may have TO GIVE to him that needeth. We have so much surplus. Some of the stress, time consumption, 'needs' perception, and etc. we experience, which play into why we work so much, are factors because we are sponges sucking up God's blessings and hording, instead of being conduits letting them flow through us to others who need. I love this! I love the idea that blogging can be something that potentially supports my family and frees me up to actually enjoy and support them instead of becoming an all-consuming thing. I hope that when my husband and I have kids we can find a balance and prioritize our family like y'all have been able to! It's not always easy to find a good balance but I think over time it has become a bit more easier. Seasons change and you definitely have to go with the flow of things to best suit your family life! I sew, crochet, and do other handicrafts which I sell though my Etsy shop: https://www.etsy.com/shop/SouthernLadyGoods?ref=hdr_shop_menu or try to sell. It has not brought much business yet! I spend most of my summertime gardening and sell produce at the local farmer's market once a week. I am still praying God will open the door for a more steady way of making money from home. We sell books on Amazon and Barnes too, Randi, thanks for sharing! I love Scentsy and have partnered with many consultants in the past! Such a lovely product! Love Pampered Chef and I hope your endeavors with your small farm will be a blessing! Yes, I have written many posts on contentment--you can search for the in the search bar. I always want to make sure that I am thankful to God for His blessing no matter how big or small they are. He is good and I can always trust Him. I am running a Christian Camp part time from home but it's really struggling. Parents just don't send there children away to Christian camps like they use too. Could I blog about the Christian Camping Experience? I get paid very little for what I do. I normally teach but have been subbing this school year. I know God set that up as I had been put on pelvic rest after week 11 in my pregnancy. Im now at week 26. But money is tight. Not sure what to do to help my hubby with expenses. Yes, Alecia, I am sure that would help bring more exposure to what you do! Dessa, praying that the Lord would show you what His will is for your situation.